1. Wada J, Rasmussen T. Intracarotid injection of sodium amytal for the lateralization of cerebral speech dominance: experimental and clinical observations. J Neu-rosurg 1960;17:226-282. 2. Jones-Gotman M. Commentary: psychological evaluation-testing hippocampal function, in Surgical Treatment of the Epilepsies (Engel J Jr, ed. ), Raven, New York, 1987, pp. 203-211. 3. Dodrill CB, Ojemann GA. An exploratory comparison of three methods of memory assessment with the intracarotid amobarbital procedure. Brain Cogn 1997;33: 210-223. 4. Loring D, Lee G, Meador K, Flanigin H, Smith J. The intracarotid amobarbital procedure as a predictor of memory failure following unilateral temporal lobec-tomy. Neurology 1990;40:605-610. 5. Hankey GJ, Warlow CP, Sellar RJ. Cerebral angiographic risk in mild cerebrovascular disease. Stroke 1990;21:209-222. 6. Hessel SJ, Adams DF, Abrams HL. Complications of angiography. Radiology 1981; 138:273-281. 7. Haglund MM, Berger MS, Shamseldin M, Lettich E, Ojemann GA. Cortical localization of temporal lobe language sites in patients with gliomas. Neurosurgery 1994;34:567-576; discussion 576. 8. Cosgrove GR, Buchbinder BR, Jiang H. Functional magnetic resonance imaging for intracranial navigation. Neurosurg Clin N Am 1996;7:313-322. 9. Hamer H and Morris H. Indications for invasive video-electroencephalographic monitoring, in Epilepsy Surgery (Luders HO, Comair YG, eds. ), Lippincott Williams & Wilkins, Philadelphia, 2001, pp. 559-566. 10. Mueller WM and Morris GL, 3rd. Intraoperative and extraoperative identification of eloquent brain using stimulation mapping. Neurosurg Clin N Am 1993;4: 217-222. 11. Bohning D. Introduction and overview of TMS physics, in Transcranial Magnetic Stimulation in Neuropsychiatry (George M, Belmaker R, eds. 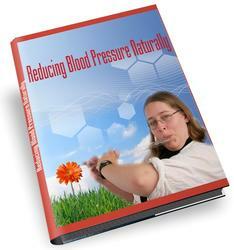 ), American Psychiatric Press, Washington, DC., 2000, pp. 13-44. 12. Krings T, Naujokat C, von Keyserlingk DG. Representation of cortical motor function as revealed by stereotactic transcranial magnetic stimulation. Electroen-cephalogr Clin Neurophysiol 1998;109:85-93. 13. Boroojerdi B, Foltys H, Krings T, Spetzger U, Thron A, Topper R. Localization of the motor hand area using transcranial magnetic stimulation and functional magnetic resonance imaging. Clin Neurophysiol 1999;110:699-704. 14. Krings T, Buchbinder BR, Butler WE, et al. Stereotactic transcranial magnetic stimulation: correlation with direct electrical cortical stimulation. Neurosurgery 1997;41:1319-1325; discussion 1325-1326. 15. Krings T, Foltys H, Reinges MH, et al. Navigated transcranial magnetic stimulation for presurgical planning—correlation with functional MRI. Minim Invasive Neurosurg 2001;44:234-239. 16. Michelucci R, Valzania F, Passarelli D, et al. Rapid-rate transcranial magnetic stimulation and hemispheric language dominance: usefulness and safety in epilepsy. Neurology 1994;44:1697-700. 17. Epstein CM. Transcranial magnetic stimulation: language function. J Clin Neuro-physiol 1998;15:325-332. 18. Epstein CM, Woodard JL, Stringer AY, et al. Repetitive transcranial magnetic stimulation does not replicate the Wada test. Neurology 2000;55:1025-1027. 19. Sparing R, Mottaghy FM, Hungs M, et al. Repetitive transcranial magnetic stimulation effects on language function depend on the stimulation parameters. J Clin Neurophysiol 2001;18:326-330. 20. Knecht S, Floel A, Drager B, et al. Degree of language lateralization determines susceptibility to unilateral brain lesions. Nat Neurosci 2002;5:695-699. 21. Pizzella V and Romani G. Principles of Magnetoencephalography, in Advances in Neurology: Magnetoencephalography (Sato S, ed. ), Raven, New York, 1990, pp. 1-9. 22. Fagaly R. Neuromagnetic instrumentation, in Advances in Neurology: Magnetoen-cephalography (Sato S, ed. ), Raven, New York, 1990, pp. 11-32. 23. Minassian BA, Otsubo H, Weiss S, Elliott I, Rutka JT, Snead OC 3rd. Magnetoen-cephalographic localization in pediatric epilepsy surgery: comparison with invasive intracranial electroencephalography. Ann Neurol 1999;46:627-633. 24. Wheless JW, Willmore LJ, Breier JI, et al. A comparison of magnetoencephalography, MRI, and V-EEG in patients evaluated for epilepsy surgery. Epilepsia 1999;40: 931-941. 25. Mamelak A, Lopez N, Akhtari M, Sutherling W. Magnetoencephalography-directed surgery in patients with neocortical epilepsy. J Neurosurgery 2002;97:865-873. 26. Lewine J, Orrison W, Halliday A, et al. Magnetoencephalography: functional imaging in epilepsy, in Neuroimaging in Epilepsy: Principles and Practice (Cascino G, and J. CR Jack JCR, eds. ), Butterworth-Heinemann, Boston, 1996, pp. 193-207. 27. Rezai AR, Hund M, Kronberg E, et al. The interactive use of magnetoen-cephalography in stereotactic image-guided neurosurgery. Neurosurgery 1996;39: 92-102. 28. Orrison WW Jr. Magnetic source imaging in stereotactic and functional neuro-surgery. Stereotact Funct Neurosurg 1999;72:89-94. 29. Gallen CC, Bucholz R, Sobel DF. Intracranial neurosurgery guided by functional imaging. Surg Neurol 1994;42:523-530. 30. Gallen CC, Schwartz BJ, Bucholz RD, et al. Presurgical localization of functional cortex using magnetic source imaging. J Neurosurg 1995;82:988-994. 31. Kamada K, Takeuchi F, Kuriki S, Oshiro O, Houkin K, Abe H. Functional neuro-surgical simulation with brain surface magnetic resonance images and magne-toencephalography. Neurosurgery 1993;33:269-272; discussion 272-273. Rezai AR, Hund M, Kronberg E, et al. Introduction of magnetoencephalography to stereotactic techniques. Stereotact Funct Neurosurg 1995;65:37-41. Sutherling WW, Crandall PH, Darcey TM, Becker DP, Levesque MF. Barth DS, The magnetic and electric fields agree with intracranial localizations of somatosensory cortex. Neurology 1988;38:1705-1714. McDonald J, Chong B, Lewine J, et al. Integration of preoperative and intraoperative functional brain mapping in a frameless stereotactic environment for lesions near eloquent cortex. J Neurosurg 1999;90:591-598. Leblanc R, Meyer E, Bub D, Zatorre RJ, Evans AC. Language localization with activation positron emission tomography scanning. Neurosurgery 1992;31:369-373. Dolan RJ and Fletcher PC, Dissociating prefrontal and hippocampal function in episodic memory encoding. Nature 1997;388:582-585. Tulving E, Markowitsch HJ, Craik FE, Habib R, Houle S. Novelty and familiarity activations in PET studies of memory encoding and retrieval. Cereb Cortex 1996; 6:717-719. Haxby JV. Medial temporal lobe imaging [news; comment]. Nature 1996;380: 669-670. Backman L, Andersson JL, Nyberg L, Winblad B, Nordberg A, Almkvist O. Brain regions associated with episodic retrieval in normal aging and Alzheimer's disease. Neurology 1999;52:1861-1870. Mielke R and Heiss WD. Positron emission tomography for diagnosis of Alzheimer's disease and vascular dementia. J Neural Transm Suppl 1998;53: 237-250. Tohgi H, Yonezawa H, Takahashi S, et al. Cerebral blood flow and oxygen metabolism in senile dementia of Alzheimer's type and vascular dementia with deep white matter changes. Neuroradiology 1998;40:131-137. Imahori Y, Fujii R, Kondo M, Ohmori Y, Nakajima K. Neural features of recovery from CNS injury revealed by PET in human brain. Neuroreport 1999;10:117-121. Heiss WD, Kessler J, Thiel A, Ghaemi M, Karbe H. Differential capacity of left and right hemispheric areas for compensation of poststroke aphasia. Ann Neurol 1999; 45:430-438. Calautti C, Leroy F, Guincestre JY, Marie RM, Baron JC. 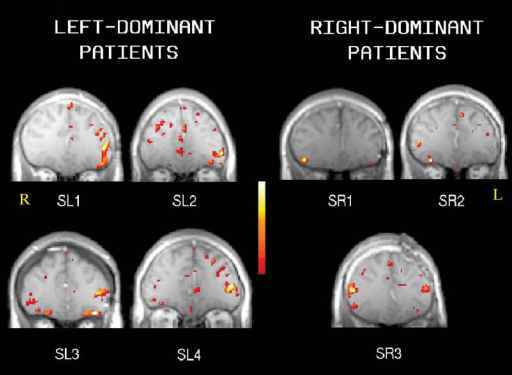 Sequential activation brain mapping after subcortical stroke: changes in hemispheric balance and recovery. Neuroreport 2001;12:3883-886. Viñas FC, Zamorano L, Mueller RA, et al. [15O]-water PET and intraoperative brain mapping: a comparison in the localization of eloquent cortex. Neurol Res 1997;19:601-608. Duncan JS. Imaging and epilepsy. Brain 1997;120:339-377. Hajek M, Antonini A, Leenders KL, Wieser HG. Mesiobasal versus lateral temporal lobe epilepsy: metabolic differences in the temporal lobe shown by interic-tal 18F-FDG positron emission tomography. Neurology 1993;43:79-86. Manno EM, Sperling MR, Ding X, et al. Predictors of outcome after anterior temporal lobectomy: positron emission tomography. Neurology 1994;44:2331-2336. Radtke RA, Hanson MW, Hoffman JM, et al. Temporal lobe hypometabolism on PET: predictor of seizure control after temporal lobectomy. Neurology 1993;43: 1088-1092. Fox PT and Raichle ME. Focal physiological uncoupling of cerebral blood flow and oxidative metabolism during somatosensory stimulation in human subjects. Proc Natl Acad Sci USA 1986;83:1140-1144. Kwong KK, Belliveau JW, Chesler DA, et al. Dynamic magnetic resonance imaging of human brain activity during primary sensory stimulation. Proc Natl Acad Sci USA 1992;89:5675-5679. 52. Ogawa S, Lee TM, Nayak AS, Glynn P. Oxygenation-sensitive contrast in magnetic resonance imaging of rodent brain at high magnetic fields. Magn Reson Med 1990;14:68-78. 53. Detre JA, Leigh JS, Williams DS, Koretsky AP. Perfusion imaging. Magn Reson Med 1992;23:37-45. 54. Bandettini PA, Wong EC, Hinks RS, Tikofsky RS, Hyde JS. Time course EPI of human brain function during task activation. Magn Reson Med 1992;25:390-397. 55. Gati J, Menon R, Ugurbil K, Rutt B. Experimental determination of the BOLD field strength dependence in vessels and tissue. Magn Reson Med 1997;38: 296-302. 56. Rosen BR, Belliveau JW, Vevea JM, Brady TJ. Perfusion imaging with NMR contrast agents. Magn Reson Med 1990;14:249-265. 57. Barbier EL, Silva AC, Kim SG, Koretsky AP. 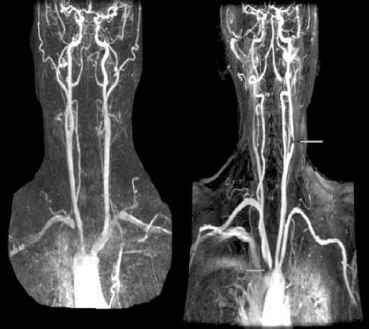 Perfusion imaging using dynamic arterial spin labeling (DASL). Magn Reson Med 2001;45:1021-1029. 58. Essig M, Wenz F, Scholdei R, et al. Dynamic susceptibility contrast-enhanced echo-planar imaging of cerebral gliomas. Effect of contrast medium extravasation. Acta Radiol 2002;43:354-359. 59. Neurology WDoC, SPM99, London, 1990. 60. Toga A, Ojemann G, Ojemann J, Cannestra A. Intraoperative brain mapping, in Brain Mapping: The Methods (Toga A, Mazziotta J, Frackowiak R, eds. ), Academic, New York, 1996, pp. 75-105. 61. Desmond J and Chen S. Ethical issues in the clinical application of fMRI: factors affecting the validity and interpretation of activations. Brain Cogn 2002;50: 482-497. 62. Cabeza R and Nyberg L. Imaging cognition: an empirical review of PET studies with normal subjects. J. Cogn. Neurosci. 1997;9:1-265. 63. Krings T, Schreckenberger M, Rohde V, et al. Metabolic and electrophysiological validation of functional MRI. J Neurol Neurosurg Psychiatry 2001;71:762-771. 64. Fandino J, Kollias SS, Wieser HG, Valavanis A, Yonekawa Y. Intraoperative validation of functional magnetic resonance imaging and cortical reorganization patterns in patients with brain tumors involving the primary motor cortex. J Neurosurg 1999;91:238-250. 65. Lehericy S, Duffau H, Cornu P, et al. Correspondence between functional magnetic resonance imaging somatotopy and individual brain anatomy of the central region: comparison with intraoperative stimulation in patients with brain tumors. J Neurosurg 2000;92:589-298. 66. Casey BJ, Cohen JD, O'Craven K, et al. Reproducibility of fMRI results across four institutions using a spatial working memory task. Neuroimage 1998;8:249-261. 67. Noll DC, Genovese CR, Nystrom LE, et al. Estimating test-retest reliability in functional MR imaging. II: Application to motor and cognitive activation studies. Magn Reson Med 1997;38:508-517. 68. McGonigle DJ, Howseman AM, Athwal BS, Friston KJ, Frackowiak RS, Holmes AP. Variability in fMRI: an examination of intersession differences. Neuroimage 2000;11:708-734. 69. Yoo S, Wei X, Dickey C, et al. Evaluation of reproducibility in sensorimotor activation: long-term fMRI study, in ISMRM, 10th Scientific Meeting and Exhibition, Honolulu, 2002. 70. Maitra R, Roys SR, Gullapalli RP. Test-retest reliability estimation of functional MRI data. Magn Reson Med 2002;48:62-70. 71. Roux FE, Ibarrola D, Tremoulet M, et al. Methodological and technical issues for integrating functional magnetic resonance imaging data in a neuronavigational system. Neurosurgery 2001;49:1145-1156; discussion 1156-1157. Schreiber A, Hubbe U, Ziyeh S, Hennig J. The influence of gliomas and nonglial space-occupying lesions on blood- oxygen-level-dependent contrast enhancement. AJNR Am J Neuroradiol 2000;21:1055-1063. Krings T, Topper R, Willmes K, Reinges MH, Gilsbach JM, Thron A. Activation in primary and secondary motor areas in patients with CNS neoplasms and weakness. Neurology 2002;58:381-390. Price CJ and Friston KJ. Scanning patients with tasks they can perform. Hum Brain Mapp 1999;8:102-108. Carusone LM, Srinivasan J, Gitelman DR, Mesulam MM, Parrish TB. Hemody-namic response changes in cerebrovascular disease: implications for functional MR imaging. AJNR Am J Neuroradiol 2002;23:1222-1228. Seto E, Sela G, McIlroy WE, et al. Quantifying head motion associated with motor tasks used in fMRI. Neuroimage 2001;14:284-297. Huang J, Carr TH, Cao Y. Comparing cortical activations for silent and overt speech using event-related fMRI. Hum Brain Mapp 2002;15:39-53. Deblaere K, Backes WH, Hofman P, et al. Developing a comprehensive presurgi-cal functional MRI protocol for patients with intractable temporal lobe epilepsy: a pilot study. Neuroradiology 2002;44:667-673. Krings T, Buchbinder BR, Butler WE, et al. Functional magnetic resonance imaging and transcranial magnetic stimulation: complementary approaches in the evaluation of cortical motor function. Neurology 1997;48:1406-1416. Mueller WM, Yetkin FZ, Hammeke TA, et al. Functional magnetic resonance imaging mapping of the motor cortex in patients with cerebral tumors. Neurosurgery 1996;39:515-520; discussion 520-521. Puce A, Comparative assessment of sensorimotor function using functional magnetic resonance imaging and electrophysiological methods. J Clin Neurophysiol 1995;12:450-459. Atlas SW, Howard RSd, Maldjian J, et al. Functional magnetic resonance imaging of regional brain activity in patients with intracerebral gliomas: findings and implications for clinical management. Neurosurgery 1996;38:329-338. Roux FE, Ranjeva JP, Boulanouar K, et al. Motor functional MRI for presurgical evaluation of cerebral tumors. Stereotact Funct Neurosurg 1997;68:106-111. Hirsch J, Ruge MI, Kim KH, et al. An integrated functional magnetic resonance imaging procedure for preoperative mapping of cortical areas associated with tactile, motor, language, and visual functions. Neurosurgery 2000;47:711-21; discussion 721-722. Kober H, Nimsky C, Moller M, Hastreiter P, Fahlbusch R, Ganslandt O, Correlation of sensorimotor activation with functional magnetic resonance imaging and magnetoencephalography in presurgical functional imaging: a spatial analysis. Neuroimage 2001;14:1214-1228. Krings T, Reinges MH, Erberich S, et al. Functional MRI for presurgical planning: problems, artefacts, and solution strategies. J Neurol Neurosurg Psychiatry 2001; 70:749-760. Pujol J, Conesa G, Deus J, Lopez-Obarrio L, Isamat F, Capdevila A, Clinical application of functional magnetic resonance imaging in presurgical identification of the central sulcus. J Neurosurg 1998;88:863-869. Fried I, Nenov VI, Ojemann SG, Woods RP. Functional MR and PET imaging of rolandic and visual cortices for neurosurgical planning. J Neurosurg 1995;83: 854-861. Gerschlager W, Lalouschek W, Lehrner J, Baumgartner C, Lindinger G, Lang W. Language-related hemispheric asymmetry in healthy subjects and patients with temporal lobe epilepsy as studied by event-related brain potentials and intrac-arotid amobarbital test. Electroencephalogr Clin Neurophysiol 1998;108:274-282. 90. Binder JR, Swanson SJ, Hammeke TA, et al. Determination of language dominance using functional MRI: a comparison with the Wada test. Neurology 1996; 46:978-984. 91. Desmond JE, Sum JM, Wagner AD, et al. Functional MRI measurement of language lateralization in Wada-tested patients. Brain 1995;118:1411-149. 92. Benson RR, FitzGerald DB, LeSueur LL, et al. Language dominance determined by whole brain functional MRI in patients with brain lesions. Neurology 1999; 52:798-809. 93. Ramsey NF, Sommer IE, Rutten GJ, Kahn RS. Combined analysis of language tasks in fMRI improves assessment of hemispheric dominance for language functions in individual subjects. Neuroimage 2001;13:719-733. 94. Lehericy S, Cohen L, Bazin B, et al. Functional MR evaluation of temporal and frontal language dominance compared with the Wada test. Neurology 2000;54: 1625-1633. 95. Hertz-Pannier L, Gaillard WD, Mott SH, et al. Noninvasive assessment of language dominance in children and adolescents with functional MRI: a preliminary study. Neurology 1997;48:1003-1012. 96. Hund-Georgiadis M, Lex U, von Cramon DY. Language dominance assessment by means of fMRI: contributions from task design, performance, and stimulus modality. J Magn Reson Imaging 2001;13:668-675. 97. Benson RR, Logan WJ, Cosgrove GR, et al. Functional MRI localization of language in a 9-year-old child. Can J Neurol Sci 1996;23:213-219. 98. Stapleton SR, Kiriakopoulos E, Mikulis D, et al. Combined utility of functional MRI, cortical mapping, and frameless stereotaxy in the resection of lesions in eloquent areas of brain in children. Pediatr Neurosurg 1997;26:68-82. 99. Tomczak RJ, Wunderlich AP, Wang Y, et al. fMRI for preoperative neurosurgical mapping of motor cortex and language in a clinical setting. J Comput Assist Tomogr 2000;24:927-934. 100. Fernandez G, de Greiff A, von Oertzen J, et al. Language mapping in less than 15 minutes: real-time functional MRI during routine clinical investigation. Neuroimage 2001;14:585-594. 101. Rutten GJ, Ramsey NF, van Rijen PC, Noordmans HJ, van Veelen CW. Development of a functional magnetic resonance imaging protocol for intraoperative localization of critical temporoparietal language areas. Ann Neurol 2002;51:350-360. 102. Rausch R. Epilepsy surgery within the temporal lobe and its short-term and long-term effects on memory. Curr Opin Neurol 2002;15:185-189. 103. Detre JA, Maccotta L, King D, et al. Functional MRI lateralization of memory in temporal lobe epilepsy. Neurology 1998;50:926-932. 104. Bellgowan PS, Binder JR, Swanson SJ, et al. Side of seizure focus predicts left medial temporal lobe activation during verbal encoding. Neurology 1998;51: 479-484. 105. Golby AJ, Poldrack RA, Illes J, Chen D, Desmond JE, Gabrieli JD. Memory later-alization in medial temporal lobe epilepsy assessed by functional MRI. Epilepsia 2002;43:855-863. 106. Killgore WD, Glosser G, Casasanto DJ, French JA, Alsop DC, Detre JA. Functional MRI and the Wada test provide complementary information for predicting postoperative seizure control. Seizure 1999;8:450-455. 107. Mamata H, Mamata Y, Westin CF, et al. High-resolution line scan diffusion tensor MR imaging of white matter fiber tract anatomy. AJNR Am J Neuroradiol 2002;23: 67-75. 108. Holodny AI, Ollenschleger MD, Liu WC, Schulder M, Kalnin AJ. Identification of the corticospinal tracts achieved using blood-oxygen-level-dependent and diffusion functional MR imaging in patients with brain tumors. AJNR Am J Neurora-diol 2001;22:83-88. 109. Sol J, Casaux J, Roux F, et al. Chronic motor cortex stimulation for phantom limb pain: correlations between pain relief and functional imaging studies. Stereotact Funct Neurosurg 2001;77:172-176.